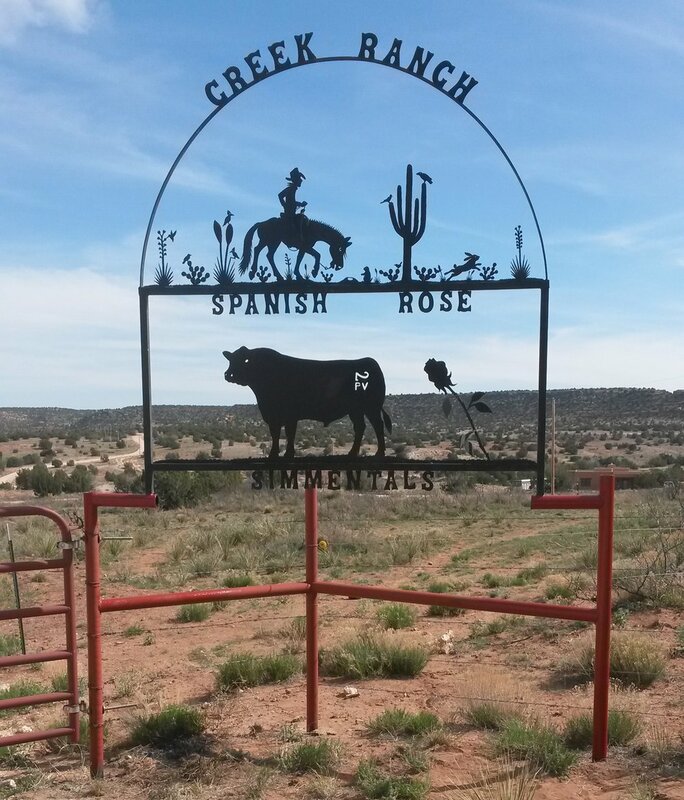 Our ranch is located south of Santa Rosa in a village called Puerto de Luna. Drive on the Interstate 40-East towards Santa Rosa/Tucumcari/Amarillo. Take exit 273 Santa Rosa. The exit changes into the Historic Route 66. About half a mile later turn right into 3rd Street/Hwy 91 (restaurant Comet on left/between Santa Rosa Lumber+Pottery on right/towards Softball Complex). The 3rd Street changes over to Highway 91 South. Follow the highway for the next 10 miles to Puerto de Luna. Stay on the same street and cross the Pecos River. Follow this road (keep left). After mile marker 12 the pavement changes and our entrance is the next, red gate on the left hand side. To the left of the entrance is our mail box with our address. And you cannot miss our entry sign on the righthand side of our entry way. Drive approx. 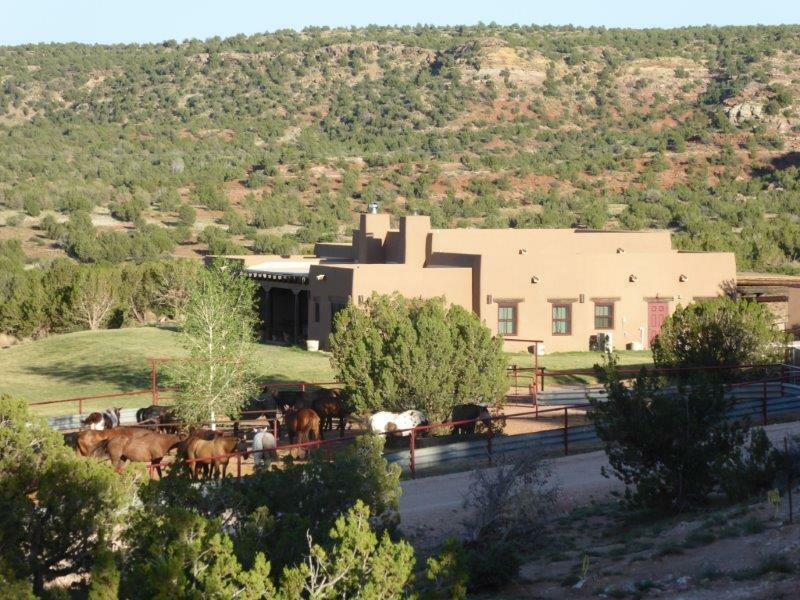 1.2 miles to the end of the road (not to the Adobe-House on the righthand site near the gate) until you reach the one story headquarters at the end of the road on the lefthand side behind the horse pens.